A Speakers Bureau or Talent Booking Agency can save you enormous amounts of time, money, and energy. How can you out work the entire staff of twenty different agencies and bureaus? If you have numerous agencies and speakers bureaus working to get you booked, you will acquire many more bookings and earn much more money. Because they work for commission only, it is in a speakers bureaus and booking agency’s best interest to get you work! 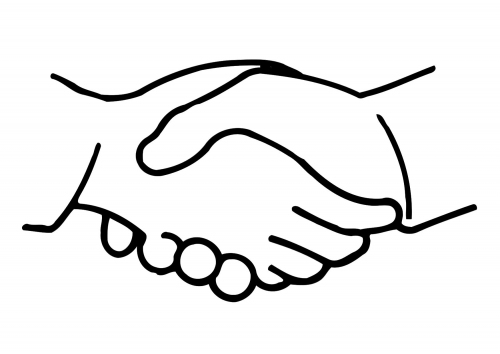 Even if you are exclusive with an agency, make sure you encourage cooperation between your agent and all other agents. If your agency will not work with other bureaus or agencies, you will miss out on many events and shows. Why leave money on the table? Representation with many other agencies gives you more marketing and publicity and feeds more leads to the agency or bureau with which you have an exclusive agreement. The more people you have selling you, the more likely you are to get booked! Make sure your exclusive agent cooperates with other agencies, or they will sell their clients comedians and speakers that want the bookings! When you encourage cooperation between different agencies and bureaus, you get booked more, the clients are happy, and both agencies are pleased. So it becomes a successful situation for all involved. They all work with and know each other, so to get more calls, you want to develop and maintain a reputation as a comedian or speaker or entertainer that is fair, loyal, and agreeable. You can have an array of people working hard to help you get more bookings and make you more money – so don’t bite the many hands that feed you. Take care of your agents and they will take care of you! Remember T.E.A.M. means Together Everyone Achieves More! Representation by many agents makes clients see you as more professional, in demand, and desirable for their event or show. You do not want clients thinking, “You don’t have an agent like all these other comedians and speakers and entertainers, so you must not be as good.” Do an internet search of your name. If you have 10 or more booking agencies or speaker bureaus that list you, you are off to a good start. If you do not, then many customers and clients will not know about you or think you are a good comedian or speaker. It IS a popularity contest, so being listed by as many reputable agencies as possible, greatly increases your popularity. Entertainment booking agencies and speakers bureaus give you an enormous amount of FREE marketing, publicity, and promotion. For instance, we support our comedians and speakers and entertainers with various social media – Facebook, LinkedIn, our website, and our blogs. We also market and promote our artists using industry wide databases, e-mail blasts, targeted marketing, and press releases. If the event is public, a good agency will even handle your call-in interviews for you. While you may have your own manager, it really pays you to have experienced booking agencies and speakers bureaus on your team. An experienced booking agency and speakers bureau has many clients and knows how to market you and your talents to those clients and customers. They understand your talents as a comedian or speaker or entertainer, they understand what you need and want, and they have an interest in getting you booked in order to make a living. A good agency will work out all the details and legal implications for you and your performance according to your contract and rider: lighting, sound, transportation, hotel accommodations, meals, payment terms, selling your merchandise and how all that will be handled. Why not spend more time with your family and friends and just enjoying your life? Besides, wouldn’t you rather develop your stand up comedy, your public speaking presentations, your act… than deal with all the things that an agency does for you… for free? Save yourself many headaches. Concentrate on what you do best and let booking agencies help you with what they do best! Teamwork divides the task and multiplies the success! A to Z Entertainment, Inc. is your best entertainment talent booking agency and speakers bureau to book or hire funny stand up comedians, professional guest speakers, and any type of live entertainers!